I had wanted this dusky purple smokey duo for the longest time. I even swatched it a couple times but for some reason, the actual swatches always looked a little bit less attractive than what I'd imagined. Like other BLKR stuff, it was exclusive at NARS website and the Bleeker street store. 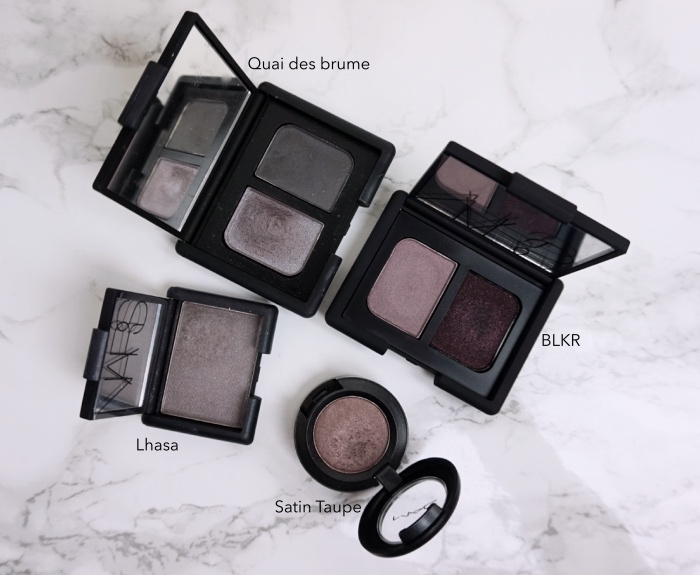 Surprisingly though, NARS BLKR eyeshadow duo didn't make the cut for NARS' recent eyeshadow renewal and the BLKR blush and the lip pencil also seem to be discontinued. 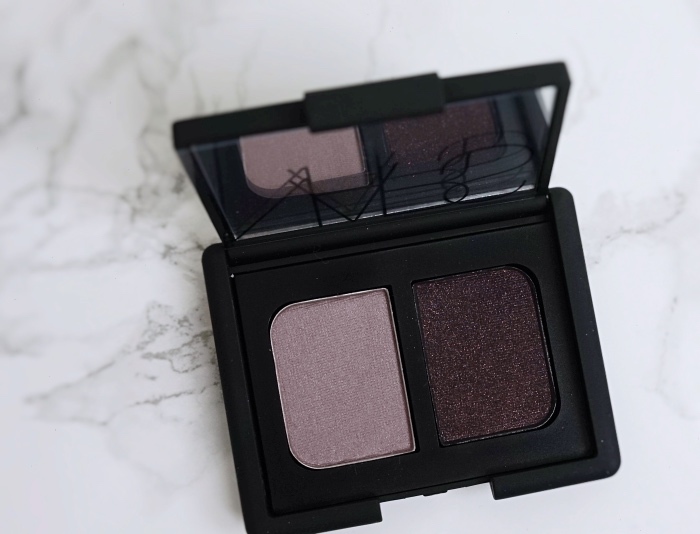 There is probably a good reason why NARS decided against the reincarnation of the duo with a household name and I assume it might be the same reason why I had hesitated so long until I finally bought it. Simply put, it is NOT easy to wear. Is it gorgeous? A big YES, but it is quite difficult to blend and that amazing dark shimmery purple is rather deceiving. As you see in the swatch photo above, that deep purple shimmer is a black in real life that is almost matte. It barely looks warm and that dense shimmer is pretty much gone once you blend it out. It is definitely different from what you see from the pan. On the other hand, the lighter purple shimmer alone is beautiful and easy to wear. It is something you can slapdash and still look polished. You know I like my dusty purples. I am sure I have more but these are the ones I quickly gathered for comparisons. Including MAC Satin Taupe in the group was a mistake as you could see, so please ignore it although it probably is the most useful eyeshadow in the world. 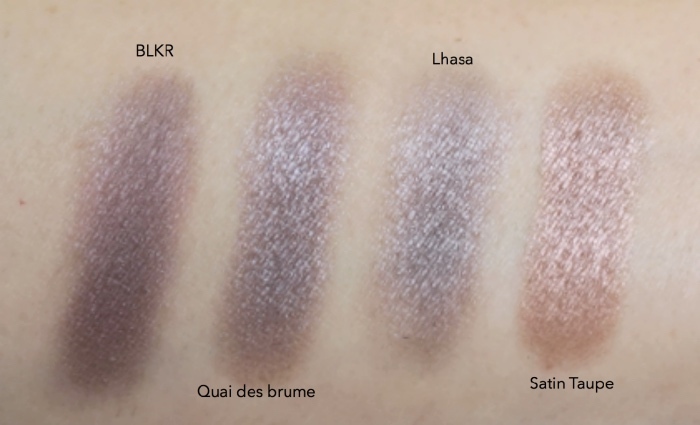 The lighter shade from Quai des brume looks like a perfect mix of BLKR and Lhasa. I don't know about you but I totally geek out when I see something like this. 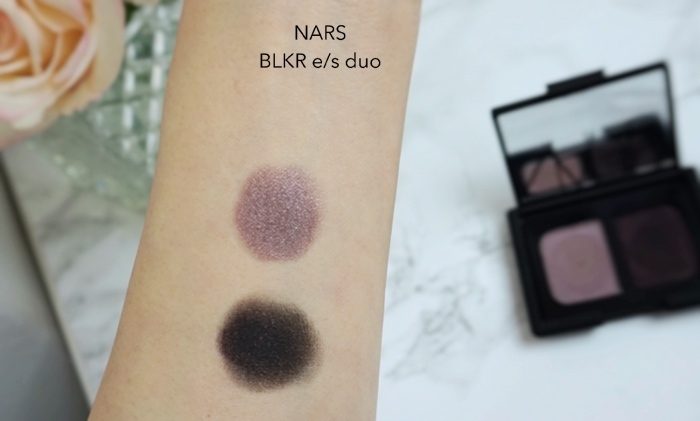 Now, I have a look with NARS BLKR eyeshadow duo. The placement couldn't be more basic, as I simply applied the light purple shimmer all over and the dark color on the outer Vs and lower lash lines. Obviously, I am disappointed because that pretty warm pink shimmer in the dark shade is nowhere to be seen once blended out. 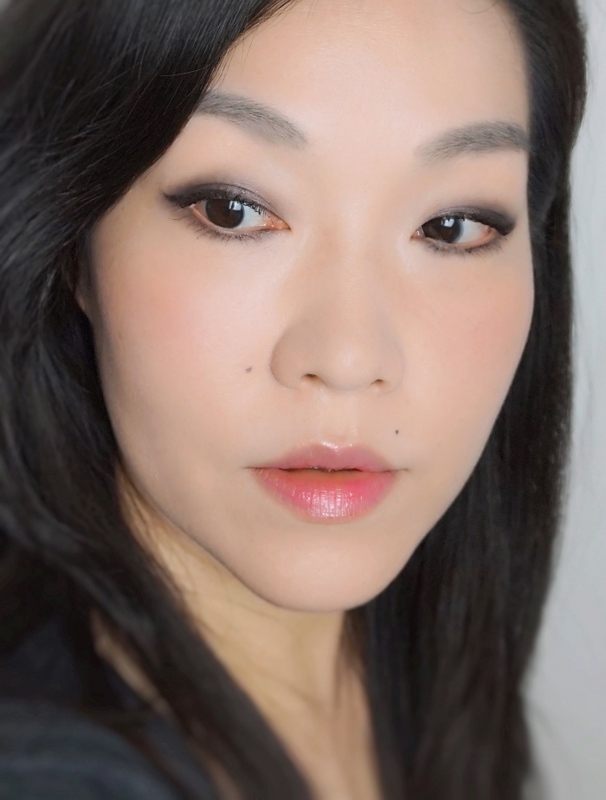 It is somewhat forgivable because I understand it is hard to find a black pressed powder eyeshadow that is creamy enough to hold shimmer even after blending. 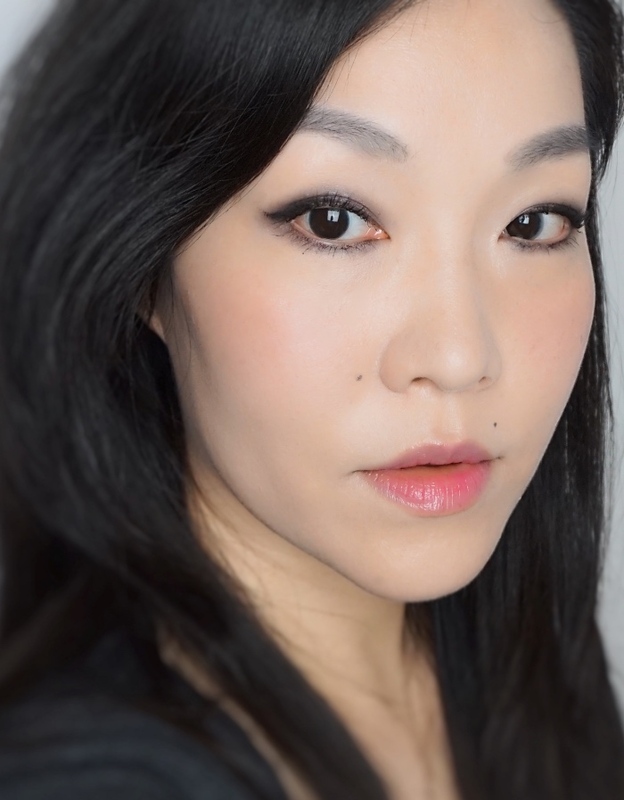 This tricky color is best as an intense liner and requires a sticky base or a wet brush if you want to see that shimmer. But, who has time? This is pretty much the look I get each time. For me, it still is a good purchase because I reach for it frequently and I know that I would have wondered forever if I hadn't bought it, but I hope my late post serves you as a fair warning for those who still want this duo. It is available at Barneys New York (They also have the blush and the lip pencil available, and only God knows why Barneys not NARS). Thanks for reading! Hope you're enjoying your weekend. I never give it a look because it's too smoked out for my skill level(and your picture comfirmed it). Speaking of dusty purple, I got lhasa and it pulls too purple (not neutral enough) on me, I wonder have you try Rome...I bought it sometime last year but haven't dipped in yet...The gummy packaging is driving nut already. Thanks, Rowena! :D Once you know that it is a black eyeshadow with shimmer, it's understandable. But, I'm sure so many people were fooled by that dense shimmer and got disappointed. The shades look gorgeous on you anyway even if you can't see the sparkle properly. What a gorgeous smokey eye it makes!